Sri Lanka is undoubtedly a beautiful island. Its natural beauty is spellbinding. Its history mesmerising. Its multi ethnic and multi religious culture is mystic and rich. Its people its best assets. The country was rated as the top country for travel in 2019 by Lonely Planet. Those who have not been to Sri Lanka in the last ten years or so would see a remarkable transformation of a country moving well into the 21st century. However, there are questions whether everything is shining brilliantly and whether there is real glowing splendour as one is made to believe. Or do we have issues that dampen the magnificence of this resplendent island? Is what you see what really is? Sri Lanka has so many positives, it hurts one to write about its negatives. However, one cannot have one’s head in the sand and pretend everything is shining brilliantly and glowing in splendour in this resplendent island. Some self-reflection is healthy for the country. Sri Lanka’s negatives are not a unique phenomenon for a country. However, its negatives are or should be important matters for its citizens. It is true that virtually every country has these and the intensity of negatives and their impact on the country varies from country to country. The terms like country, nation, etc. are man-made creations and the health of a country therefore rests on the health of its people. The term health is used here in a much broader context here, and it encompasses issues like the economic health of the country, the integrity, honesty of its people and the regard and respect people have for each other. Sri Lankans should self-reflect to ascertain how healthy they are from such a wider perspective. Are we healthy from an economic perspective? Are we healthy from a societal point of view? Are we healthy from an integrity and honesty point of view? Are we healthy from the point of view of our regard and respect to each other? Sri Lanka cannot be healthy economically if 60% of its GDP is foreign debt. 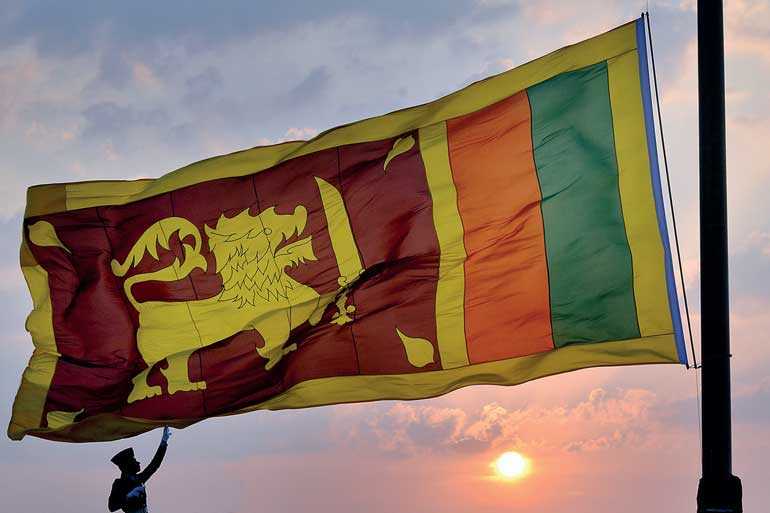 Dinesh Weerakkody writing in the Daily FT (Sri Lanka’s debt-ridden independence, 1 February) said Sri Lanka, today, has an estimated $ 87 billion GDP, an economy which is much bigger than what the numbers really reflect. However, the $ 87 billion economy is saddled with unbearable debt. It is estimated that loan repayments between 2019 and 2022 would be around $ 21 billion. The country’s foreign debt is estimated at $ 55 billion. Chinese hold 14% of this debt, Japan accounts for 12%, the Asian Development Bank 14% and the World Bank 11%. Sri Lanka’s debt is 78% of its GDP. This is one of the highest debt-to-GDP ratios in the SAARC and ASEAN region. An expert is not needed to say that it is not the debt, if it is used for investments, that is the issue but whether the return on such investments is sufficient to service the debts without borrowing more to repay them. Unfortunately, this is what Sri Lanka is doing and has been doing, making this economic model a highly unsustainable one. It would be hard to find an unbiased economist who will contest this. From time to time, the Government has issued statements in regard to the scale of direct foreign investments. It is unclear what these investments are and where such investments have actually been made, and what returns are accruing to the country as a consequence of such investments. While investment in infrastructure, particularly after decades of neglect, was necessary for the country, there are doubts whether the investment expenditure reflected actual costs. The gestation period for infrastructure investments is long, and besides, these also have a social bearing and therefore a social cost element besides material and labour costs. The returns on social costs cannot be measured with conventional methods. Sri Lanka derives its foreign earnings from agricultural produce like tea, rubber, coconut, spices, and primarily now from worker remittances. The garment industry also yields a substantial export income. Sri Lanka’s export value of garments has reportedly crossed the $ 5 billion mark. However, what is not clear is the net foreign exchange earnings from this figure as there is a substantial component of imported inputs that have to be deducted from this gross export value. There have been several reports signalling the difficulties the tea and rubber industry in particular are facing and the projected decline in export earnings. Cost of production of tea and rubber and the general wage rise demands without a link to specific productivity targets, has put a strain on the industry. Wage rises are justifiable in an economy where the cost of living is a major issue for most Sri Lankans, but it needs to be linked to productivity targets if these industries are to survive in to the future as profitable ventures. What about integrity and honestly? In a scale of 1 to 10, with 10 being the highest level, where would we be in regard to integrity and honesty? Somewhere in the negative area well below 1? Corruption is endemic in Sri Lanka and it pervades every level of the society. While no doubt there are many honest men and women, it is difficult to come across members of the public who have not had to oil someone’s palm to get even basic services done. At the higher levels, the Sharks roam free and they protect their own species. Sri Lanka is placed 89th amongst 180 countries in Transparency International’s Corruption Perception Index. Sri Lankans know this well with first-hand experience. What about our society? In particular, our drug menace? If one goes by media report, Sri Lanka is a haven for drug peddlers and a transit point for exports from drug producing countries. Many school children, even in remote parts of the country are now drug users. Drugs are killing our society with the slow death of many young persons including children. The President has vowed to hang drug peddlers. Hanging a few sprats will not address the drug issue. Disenfranchising all their rights and stripping drug barons and their families of all their assets might have some impact. Hanging these barons would be to merciful for them considering the damage they have done to many individuals and their families. We read so much about foiling drug smuggling efforts at Customs and the discovery of various hidden items, but we hardly hear about what happens to these confiscated items. There is suspicion that what is confiscated finds its way back to the market. The drug trade is closely linked to the underworld and there are plenty of Makandure Madushs freely roaming around in the country plying their business even though Madush is reportedly in custody in Dubai. No doubt these underworld characters are in toe with political, police, and customs heavy weights as it is inconceivable how they could operate with impunity unless they had the right connections. What of general discipline in the country? Discipline indicates a regard and respect to each other. This is so whether it is a religious or cultural matter, obtaining a service in a Government department or a bank, walking or cycling somewhere, driving around in car, trying to cross a road on a pedestrian crossing and other routine, at times mundane things. Beginning with walking, cycling, motor cycling, driving, or trying to cross at a pedestrian crossing, your life is basically in your hands. The greatest offenders who have no regard or respect for others are bus drivers, three wheel drivers and motor cyclists. Bus drivers are hardly ever taken to task by the Police for their reckless and errant driving as they seem to be a protected species. Motor cyclists and three wheel drivers are a law on to themselves and they are hardly ever taken to task for their errant driving. Pedestrian crossers basically have to worship drivers of vehicles to allow them to cross. National Council for Road Safety Chairman Sisira Kodagoda told the Sunday Times that most accidents caused during the past two weeks were due to drivers’ recklessness and negligence. “Falling asleep while driving, with no rest before the journey, has led to many accidents recently, while overtaking has also been a contributing factor,” he emphasised. Kodagoda revealed that last year (2017) accidents resulted in 3,117 deaths, of which 1,735 occurred between 1 January and 31 August. The corresponding period this year has seen an increase by 54 deaths to 1,789 deaths (http://www.sundaytimes.lk/170910/news/road-deaths-in-sri-lanka-are-as-natural-as-they-are-tragic-258651.html). If the jungle that is out there on roads is an indication as to how we regard and respect each other, then we are truly in a jungle where the only law is the law of survival (of the fittest). Horrendous bus accidents are reportedly on the increase. One wonders why! One could go on and on about the negatives of the nation and what is happening behind the curtain of the resplendent island. Suffice to say the solution lies with ourselves, and how we rate integrity honesty, regard and respect for each other, law and order obedience, and who we elect to the Parliament as they are the ones who are tasked with making economic and other policy decisions. If they become the opposite of who they should be and becomes the problem rather than the solution, and if these do not matter to us, then we will get what we deserve.